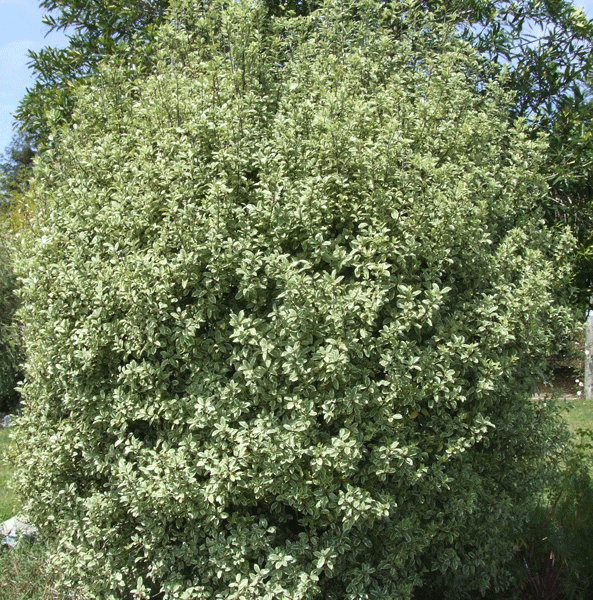 Pittosporum is an evergreen tree that can grow to about 10 metres in height. 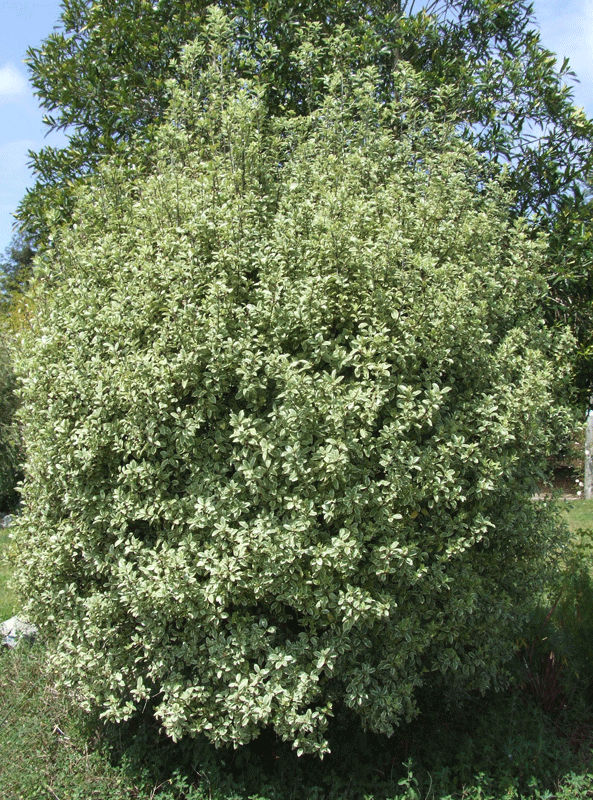 It is native to New Zealand and tolerates most growing conditions. Keeping the tree pruned will make it bushier, which makes for a perfect screening plant. The leaves are a glossy green with silver going through the colour.